Collecting a soil sample for a first detection. SCN is most likely to first move into a field by hitching a ride on equipment or in water or wind-blown soil. 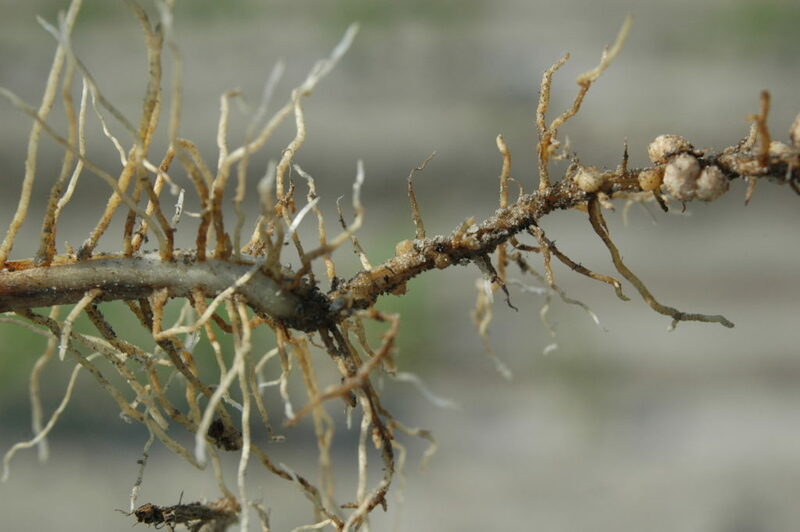 If you don’t yet know whether a field is infested with SCN, focus on collecting soil cores from field entrances, low and frequently flooded spots, high pH spots and areas of the field where soybeans have lower than anticipated yields or mature earlier than expected. Collect 15 to 20 cores (1 inch diameter, 6 to 8 inches deep) in the soybean row where there are more roots and populations will tend to be higher and therefore detectable.